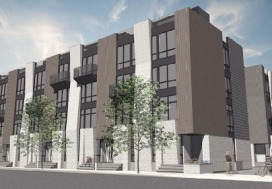 The Zoning Board of Adjustment approved a zoning variance to allow developer Jesse Shemesh, of Kite and Key Realty Group, to build a five story apartment building at 310 Girard Avenue. The building would be built on a 29,000 square foot lot that used to be used as a lumber yard, but is currently vacant. 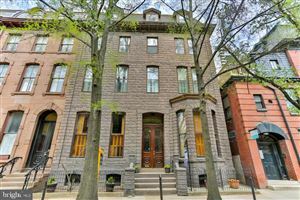 The site is bounded by Girard Avenue, 3rd Street, Orianna Street, and Cambridge Street. The new building is being designed by architect Kevin J. O’Neill, of KJO Architects. 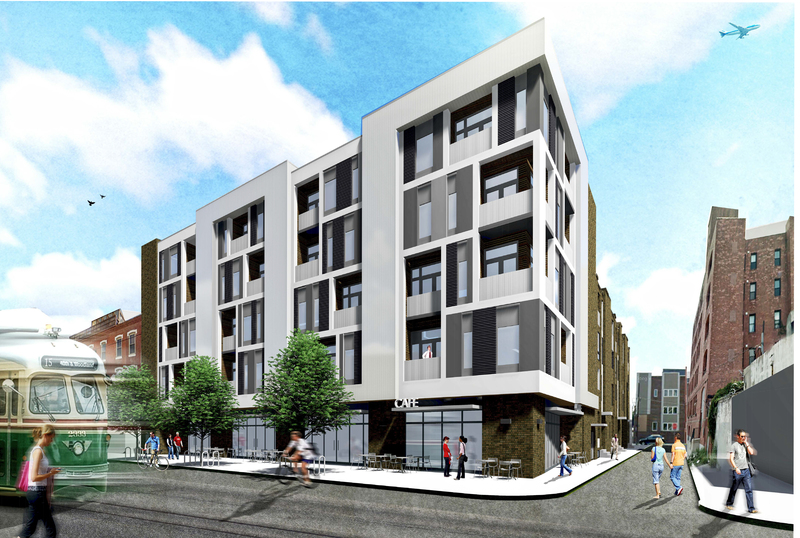 The building will have 53 rental apartment units and 37 parking spaces. 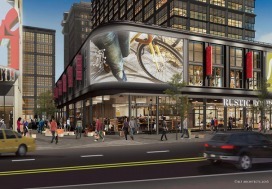 There would be retail space on the first floor on Girard Avenue, wrapping around onto Orianna Street. 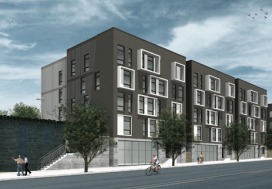 The side along Girard Avenue will be the five story portion, with a four story portion on the south side. The parking spaces would be in the back. Above the parking lot, will be a deck with a courtyard for the tenants. There will, also, be carriage house style units above the entrance into and exit out of the parking lot off of Cambridge Street. The developer has been planning this new building for about nine months. The developer’s attorney, Hercules Grigos, explained to the Zoning Board, at the hearing, that the developer attempted to sell the site to industrial users, but there was little interest for that use, so that is why they decided to build residential and were requesting a use variance to build residential on an industrially zoned site. They believe that Girard Avenue is moving away from industrial uses and becoming much more residential. This is not the only residential and commercial project in the nearby neighborhood. 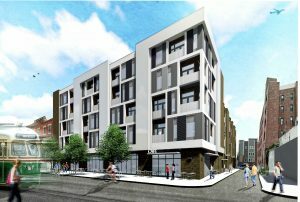 A half a block north of Girard Avenue, a developer is building a large apartment complex known as Liberty Square, which will have some retail. A couple blocks to the east of Liberty Square, at 2nd and American Streets, another developer will soon be building a large apartment and retail complex known as Soko Lofts, and to the south at 2nd and Girard, Bart Blatstein’s Tower Development has been building The Piazza apartment and commercial project, with plans to expand again with highrise apartments, or condos, and a hotel. 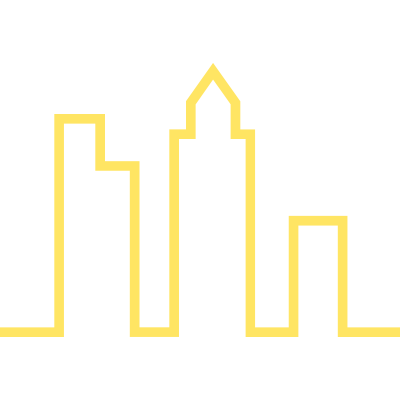 The Northern Liberties Neighbors Association agreed with the developers and gave them a letter of support, which Mr. Grigos presented to the Zoning Board. The Zoning Board agreed that the area was changing and voted unanimously to grant the variance.